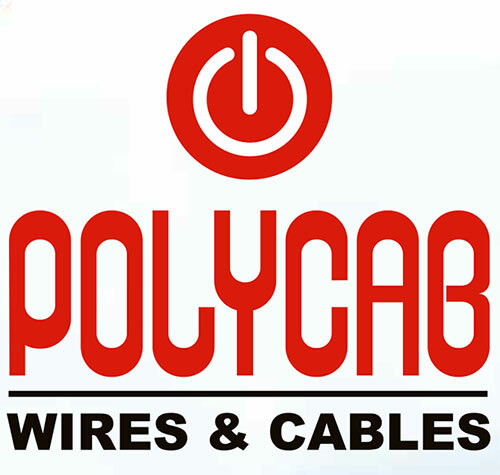 (i) Founded in 1996, Polycab wires is in the business of manufacturing and selling wires and cables and fast moving electrical goods (“FMEG”) under the “POLYCAB” brand. (ii) They manufacture and sell a diverse range of wires and cables and the key products in the wires and cables segment are power cables, control cables, instrumentation cables, solar cables, building wires, flexible cables, flexible/single multi-core cables, communication cables and others including welding cables, submersible flat and round cables, rubber cables, overhead conductors, railway signaling cables, specialty cables and green wires. In 2009, they diversified into the engineering, procurement, and construction (“EPC”) business, which includes the design, engineering, supply, execution, and commissioning of power distribution and rural electrification projects. In 2014, they diversified into the FMEG segment and the key FMEG are electric fans, LED lighting and luminaires, switches and switchgear, solar products and conduits and accessories. in India. For Fiscal 2018, they have a market share of approximately 18% of the organized wires and cables industry. CRISIL Research expects the wires and cables industry in India to expand at a CAGR of approximately 15% in value terms to reach approximately ₹1,033 billion by Fiscal 2023. (iv) They have 24 manufacturing facilities, including two joint ventures with Techno Electromech Pvt Ltd. (“Techno”) and Trafigura Pte Ltd (“Trafigura”), located across the states of Gujarat, Maharashtra and Uttarakhand and the union territory of Daman and Diu. Three of these 24 manufacturing facilities are for the production of FMEG, including a 50:50 joint venture with Techno, a Gujarat-based manufacturer of LED products. In 2016, they entered into a 50:50 joint venture with Trafigura, a commodity trading company, to set up a manufacturing facility in Waghodia, India to produce copper wire rods (the “Ryker Plant”). They expect the Ryker Plant to commence commercial operations by the end of Fiscal 2019, with an estimated annual capacity of 258,620 MT of copper wire rods once it is fully operational. (v) They have an established supply chain comprising a network of authorized dealers, distributors, and retailers. The distribution network in India comprises over 3,300 authorized dealers and distributors and 29 warehouses as of March 31, 2018. They supply the products directly to the authorized dealers and distributors who in turn supply the products to over 100,000 retail outlets in India. The company manages sales and marketing activities through their corporate office, three regional offices and 20 local offices in various parts of India as on June 30, 2018. In addition, in Fiscal 2018, they exported their products to over 40 countries. Review and Recommendation of Polycab IPO from IZ Team is : 6/10. (i) The IPO is priced very reasonably at P/E of 17 as compared to its peers. (ii) The EPS for 9MFY19 has almost doubled as compared to 9MFY18. (iii) The Debt of the company is continuously decreasing in the last 3 years. (iv) Market leader in wires and cables in India. (v) Strong distribution network. (vi) Strong brand in the electrical industry. @marketwizard : brought 77 shares at 655 shall i hold oo sell ? if i hold what cud be the target and in how many days ? Hold Polycab for the target of 700 within 2 months. What should be the strategy. Should I hold or sell on listing? Sell 50% on listing and then hold 50% with stop loss at 600. Very high chances of breaking 700 if follow up buying comes after listing. Best of luck to all allottes. Yes. Listing is tomorrow. News is confirmed. I have applied for 10 lots through SBI net banking. BUT Not allotted to me OR EVEN get refund my money in my bank account. please help. Please check this with SBI customer care. They should adjust the amount. @Market wizard applied for 2 lots but i didnt get 1 lot.even HDFC amc when it is more than poly cab ipo i got allotted 1 unit.What shud i do ? If you are new to the market then sell 50% on listing and carry 50% with the stop loss at issue price. How much expecting listing gain and stop loss? 0 allotment out of 6!! what you want to know ?? What is the allotment date for the same..?? @Market Wizard..
JM, Kotak, Birla HNI worth 12K Crore Bidded Now..
Also Axis, Bajaj will file HNI application worth 6K Crore Now. This page is for POLYCAB IPO only. why the allotted shares are same even if applied for more with same allotment ratio ? in that case why anybody will apply for more ? Are you taking about RVNL? If yes, then I would like to clarify that when the issue got oversubscribed, the allotment will be done for one application only irrespective of the application applied and that too via the lottery system. Through bank a/c , ASBA. ICICI LOMBARD GENERAL INSURANCE CO. LTD. 2.00%. A must apply IPO. Waiting for Anchor Investors list . If we annualize 9MFY19 Financials, the EPS for FY18-19 would be 32. The IPO Price of 538 is coming at P/E of 16.75. Conclusion: The IPO is priced at mouth-watering valuation. Ready for some blockbuster gain in Poly Cab IPO. The company is consistently reducing debt which is a big positive. Ipo price not 533-536…..533-538. i think . I have two accounts with HDFC bank in the name of me and my spouse. I could register only one upi id for one account and a number associated with that. My spouse’s account too is linked with dmat but a upi can’t be registered as we have one common cellphone. We have installed Bhim (independent) upi app and created a upi id linking my spouse’s HDFC account but the id is like abc@upi and not abc@hdfcbank. Can an ipo application be made using this abc@ipi id linked to HDFC account? KEI Industries and Polycan both have shown good growth both in Top line and bottom line. For Havells, it is more of Top line and rather degrowth in the bottom line. The Havel valuation are very expensive at current level. KEI among three listed is available at reasonable Valuation. If we give same valuation to Poly cab it’s Mcap could be in range of 9000 Cr. Would be a very good IPO after a long time. 4. Manufacturing facilities with high degree of backward integration. 5.Strong brand in the electrical industry.